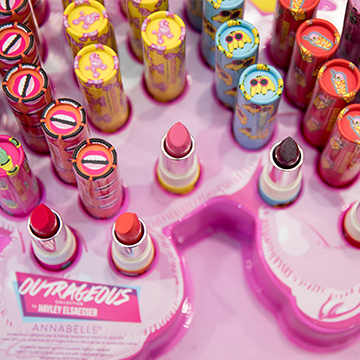 In February 2018 Annabelle Cosmetics partnered with Canadian fashion designer Hayley Elsaesser to create the Outrageous Collection – a bold and fun line of 10 limited edition collectible lipsticks. 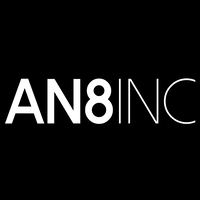 The vision was to create a bang by engaging a national audience and increase brand awareness of both Annabelle Cosmetics and Hayley Elsaesser. As Groupe Marcelle’s agency of record, NKPR managed strategic media and influencer relations and a VIP launch event for top-tier media, influencers and consumers. To create media, influencer and consumer buzz on the Outrageous Collection and brand awareness for both Annabelle Cosmetics and Hayley Elsaesser. Cityline, The Marilyn Denis Show, FASHION Magazine, The Globe & Mail, ELLE Canada, NOW Magazine, CBC Life, Cosmetics Magazine, Chatelaine, WHERE Vancouver, Clin d’oeil and Cool! As well as a profile of Hayley Elsaesser in The Kit (Toronto Star). Developed a “first look” instagrammable launch party from inception to execution; a brand-aligned event at the Hayley Elsaesser store on Queen Street West. Secured over 21,963,496 Million impressions via 17 pieces of meaningful feature coverage in key targeted publications and national broadcast shows. Developed a successful media, influencer and consumer launch event with over 75 attendees that garnered 167 social media posts and 5.7 million impressions within 24 hours.